The LIFE Pregnancy Center in Washington C.H. hosted Pastor Jeremy Griffith and the Easter bunny Wednesday afternoon. Pastor Griffith spoke about the story of Jesus Christ and the resurrection before the Easter bunny took photos with many kids in attendance. LIFE Pregnancy treated guests with treats and gifts to celebrate the holiday. 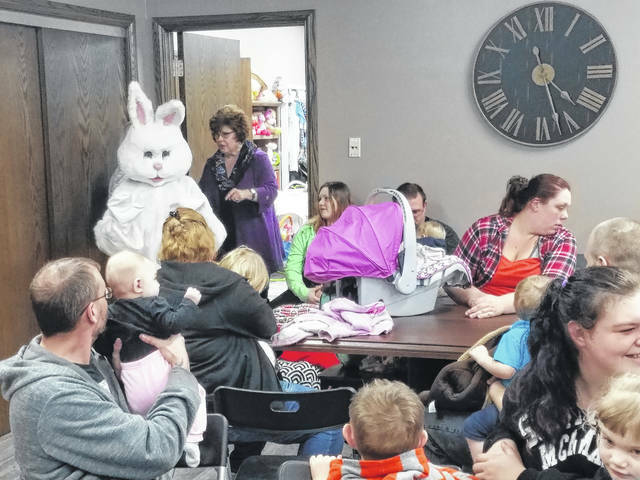 https://www.recordherald.com/wp-content/uploads/sites/27/2018/03/web1_20180328_162738.jpgThe LIFE Pregnancy Center in Washington C.H. hosted Pastor Jeremy Griffith and the Easter bunny Wednesday afternoon. Pastor Griffith spoke about the story of Jesus Christ and the resurrection before the Easter bunny took photos with many kids in attendance. LIFE Pregnancy treated guests with treats and gifts to celebrate the holiday.